Sharon Myers is an accomplished sculptor, painter, mixed media collagist, and chef. Sharon Myers Arts, located in Brattleboro, Vermont, is home to Sharon’s studio and workshops where she works as a multi-disciplinary artist. Explore the site and browse galleries of Sharon’s projects. Contact the studio for information about upcoming shows and to purchase art. 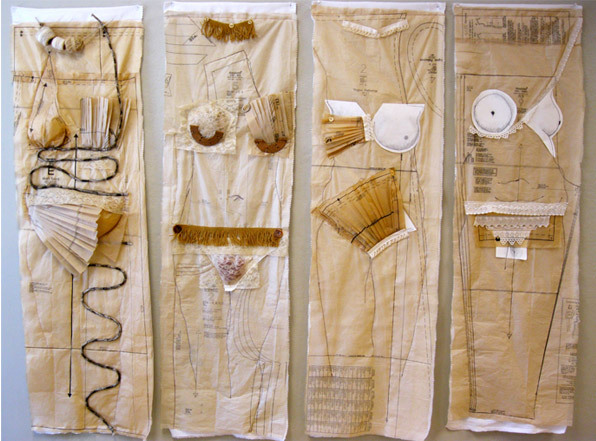 Sharon Myers’ newest work, an extension and deeper exploration of themes from The Underwear Project, is shown on this site under New Work.